Are you tired of looking through website after website, trying to find the best business gas prices? With over 60 business gas suppliers in the UK, it’s easy to become overwhelmed by the sheer number of different tariffs available. You may even feel that you’d rather just stick to your current business gas suppliers and put up with their prices, but the truth is, you don’t have to. Today is about to become your day because you have come to just the right place. Here, you’ll be able to easily compare business gas quotes and get the best prices. This guide is your essential tool to find and compare the best business gas tariffs from the top suppliers in the UK. You’ll be able to see a side-by-side comparison of their business gas rates, contracts, as well as the services and support they offer to businesses. What Affects Business Gas Rates? Over recent years the business energy market has seen increasingly lower barriers to entry, which leads to more competition and lower tariffs. As a business, this is great news. You have a greater selection of available gas tariffs that make it possible for you to browse and, if necessary, switch to the best-value tariff. Problem is, most businesses are unaware of these potential savings. It also often seems much easier to simply stick with your current business gas provider. But actually, Ofgem reports that customers are paying up to £300 more on their gas bills because they are using a poor-value tariff. Generally, providers are more than prepared to accommodate you switching to them, even if it is on short notice. They ensure that your business continues to have uninterrupted access to gas at all times, whether or not you have entered into a contract with them. So now that you know there aren’t really any downsides to finding and switching to a better business gas tariff, let’s crack on. Business gas prices consist of the Unit Rate (p/kWh) and a Standing Charge (p/day). The Unit Rate is the price of each unit of gas that is used, calculated in pence per kilowatt hour or p/kWh. Typically, the unit rate ranges from 2p/kWh to 7p/kWh between suppliers. The Standing Charge is the daily cost of keeping your gas supply open. You can also think of the standing charge as a rental fee you pay to the supplier. In general, business gas suppliers offer 3 types of rates: fixed, variable, and deemed (or out-of-contract). You find fixed and variable rates as part of a contract, with fixed-rate contracts offering cheaper prices since you are also agreeing to a longer-term (usually starting from 1 year). Deemed rates, or out-of-contract rates, apply when you haven’t entered into a contract with a supplier. As a result, they are usually more expensive than fixed and variable rates. You may find yourself using deemed rates when you are considering a switch and don’t wish to commit to anything just yet. In the table below, you will find a comparison of the deemed rates between the best business gas suppliers in the UK. Think of them as the maximum possible prices you would face with each supplier, and it should also give you an idea of their fixed and variable rates. If you want to find out more about these suppliers, just keep on reading! If you are wondering why some of these suppliers sound familiar, it’s because 6 of them are responsible for supplying 79% of the gas market in the UK. Although the Big Six seem to dominate the business gas market, their market shares have been decreasing in a relatively short period of time. In fact, alternative suppliers saw their market shares shoot up to 18% in 2017, from a mere 5% in 2013. What this means is that an increasing number of businesses are opting for smaller, alternative suppliers. Not only do they offer low-cost gas tariffs, but they also tend to provide better support due to their smaller size and local presence. Nevertheless, all of the following suppliers are undoubtedly at the top of their game, with each possessing their own unique features and services that make them the best business gas suppliers in the UK. British Gas are veteran energy suppliers in the UK, operating since 1997 and consistently dominating the domestic energy market for both home and business products. Their industry experience and success has enabled British Gas to create a bespoke gas service that caters exclusively to businesses, from SMEs to multinationals. British Gas offers fixed-rate contracts that start from 1 year to 3 years, with a 90-day notice period, which is convenient if you find yourself in a situation where you need to give short-term notice before leaving them. Similarly, British Gas also provides variable rate tariffs that don’t tie down into any long-term agreements, just as long as you give them 30-days notice. Besides this, British Gas tariffs come with easy online account management and free boiler service of up to 70 kW. SSE, formerly known as Southern Electric, is the second largest supplier of gas in the UK and are based in Scotland. Their business gas tariff packages are focused on specific business goals including lowering carbon footprint, improving efficiency, maintaining sustainability, and responsible growth. If you want to save costs with fixed prices, you’ll love this – SSE allows you to fix your business gas prices for up to 5 years with their fixed-rate contracts. Additionally, with 100 offices throughout the UK, SSE is more than prepared to support you with customer service agents always on hand to help. Headquartered in Germany, E.ON is a multinational supplier of energy and are also one of the most popular providers for business gas in the UK. E.ON offers fixed-rate contracts that range from 1 year to 3 years, with an additional 7% discount for direct debit payments. Moreover, E.ON offer a range of tariff options that include plans offering 100% renewable energy, payment discounts, and no exit fees. If you require flexibility, E.ON provides pay-as-you-go gas tariffs with variable rates to accommodate your business needs. Plus you can easily manage your account online to access your billing and more. EDF is one of the largest energy suppliers in Europe and is also part of the Big Six energy suppliers in the UK. They are known for their bargain business gas tariffs and small business-friendly options. Like other major suppliers, EDF offers fixed-rate contracts that start from 1 year up to 3 years with an additional 7% discount if you choose to pay with direct debit. They also provide great technical support, with 24/7 live chat, as well as a mobile app and online portal for you to manage your account. In fact, over 8 out of 10 clients opt to remain with EDF, and so it’s clear that EDF is a solid choice for your business gas needs. ScottishPower is a Scotland-based Big Six energy supplier that offers business gas tariffs for UK businesses at competitive prices. Their fixed-rate contracts range between 1 and 3 years, with a 30-day notice period. This incredibly short notice period means that you have the freedom and flexibility to exit your contract in case of sudden changes in your business. What’s more, ScottishPower’s UK-based Business Energy team are readily available to help with advice on how to save energy and reduce costs. You also have access to their website and mobile app to review your usage, billing, and other features. Last in the list of Big Six energy suppliers is Npower, a German-owned company with a UK office in Swindon. Npower fixed-rate contracts range from 1 to 3 years with a 60-day notice period. They prioritise user experience through seamless and convenient online account management and e-billing, with a variety of payment options available. Plus, Npower has a UK-based call centre and also offers business switching consultants to ensure that your transition is as smooth as possible. They aim to establish a strong relationship as your business gas supplier, by delivering reliable service and support. Originally launched in Germany, Extra Energy has since built a solid reputation as a quality business gas supplier with low-cost tariffs and excellent customer support. They have since expanded their offices to Birmingham, where they set up shop to provide energy to customers in the UK. Extra Energy offers fixed-rate contracts from 1 year to 3 years, with possible discounts when you pay with monthly direct debit. Additionally, they also have a customer service team dedicated exclusively to businesses, providing fast support. Plus, Extra Energy has you covered when you are moving premises with services to ensure you always have reliable access to gas for your business to continue to operate. 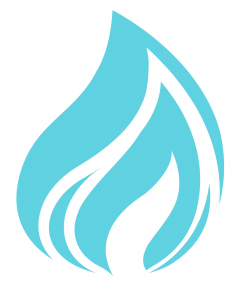 Bristol Energy is a small independent energy supplier that has proven to be a popular alternative to the Big Six, for businesses looking for a change. They provide sustainable energy along with transparent contracts and dependable service. Furthermore, Bristol Energy offers a diverse selection of contracts including low fixed-rate tariffs and pay-as-you-go plans, if you are looking for more flexibility. Customer service is one of Bristol Energy’s most highly rated aspects, with customers praising their quick and consistent support. Bulb was founded by veterans of the energy industry who realized the lack of customer satisfaction with major suppliers, from factors such as poor service and unnecessarily expensive tariffs. In response, Bulb offers straightforward, cheap contracts for businesses looking for a simple, no-nonsense gas supplier. They have an impressive list of positive customer reviews that commend their personable customer support, low prices, and reliable service. Good Energy is an up-and-coming provider that specializes in providing renewable energy at low prices, to businesses all over the UK. They recognize the importance of using sustainable energy sources and offer the option for businesses to become more environmentally-friendly. Apart from being low-cost, Good Energy business gas tariffs are also flexible. You are able to opt for their variable tariff that doesn’t specify contract terms or charge exit fees. This is especially useful for businesses that prefer not to be tied down, and want the option to change suppliers without facing further costs. Alternatively, Good Energy also offers fixed-rate tariffs for either 1 or 2 years, for businesses that want to set their gas rates and run their business worry-free. In short, larger businesses typically use more energy which allows suppliers to offer lower rates, compared to the rates for smaller businesses that don’t use as much energy. Suppliers use your previous gas usage data as an indicator of your business size and gas rate. If your usage is above a certain number, you’ll qualify as a large business and receive lower rates. Therefore, you need to have an accurate idea of how much gas your business uses each month. If you are unsure, check your previous billing statements and meter readings, and you should be able to find out your monthly usage. Longer fixed-rate contracts, such as those lasting over 1 year, generally have higher rates. This is because your business gas rates will remain fixed for a long period of time, and so suppliers need to accommodate for the potential loss by charging a slightly higher rate than their short-term contracts. On the other hand, short-term fixed-rate contracts that last for only a year or less will almost always see prices going up each year, which means that they may have to constantly switch suppliers every year to get the lowest business gas rates. Businesses that operate in city areas usually receive lower rates compared to those in rural areas, because they are in areas with better access to distribution networks for gas supply. The higher rates for businesses in rural areas reflect the increased effort by the supplier to get the gas to the business. In general, suppliers offer discounts when businesses make payments through certain channels such as monthly direct debit. This allows you to reduce your costs, while the supplier receives faster payment by directly debiting funds from your account. Before deciding on a business gas tariff and supplier, the first step you should take is to find out how much gas you use. This gives you an idea of your business size and makes the selection process much easier when you know which rates apply to your business. Having this information on hand also allows suppliers to understand your business better and suggest the most suitable tariffs for you. You need to also consider what type of tariff and contract is the most in line with your business needs. For example, if your gas usage fluctuates throughout the year then you may want to go for a flexible contract that allows you to pay-as-you-go, based on how much gas you use. Moreover, you may want to enter a long-term fixed-rate contract that guarantees a certain price over time. But you could also take your chances and switch providers every year to ensure you always have the lowest rates in the market. Once you are certain about what type of contract you want the search process becomes much easier. Finally, make a firm choice on the type of energy you want to use. If you want to be environmentally-conscious, then you select a provider that offers business gas tariffs from 100% renewable energy sources. At this point in time, you are ready to begin selecting the best gas tariff for your business. Equipped with the information in this guide, you can bet that soon enough you’ll be saving big on your monthly gas bills. You can kick-start the process by filling out a quick form and comparing quotes right here with us!